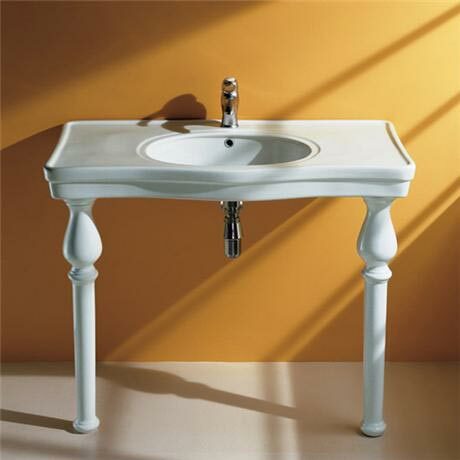 The stylish elegant 105cm Deluxe Console basin with two beautifully ornate ceramic legs combines tradition with exquisite design. Create a sophisticated dressing room style in the bathroom. Has enough surface area to store your beauty essentials in one convenient place. Designed and manufactured using the latest methods and finished to the highest standards by the world's leading ceramics company RAK.